Description: New Acer laptop replacement keyboard. ***We suggest purchasing the palmrest which includes the keyboard for an easy installation. 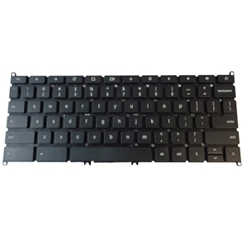 To install this keyboard you will need to break your old keyboard out of your existing palmrest very carefully. Compatible Part #'s: NK.I1117.025, AEZHNU0010.